Steve founded BikeReg.com in 1999, followed by RunReg.com and SkiReg.com, back when accepting credit cards on the internet was a hot new thing and race registration was powered by writing lots of stuff on paper and/or mailing physical objects to an event director. 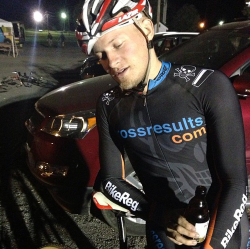 Hobbies: Alpine skiing, trying to win bike races from 500m out, recovering from life-threatening injuries. Claim to fame: Started a successful company focused on his hobbies while maintaining a full-time job and starting a family. He’s still standing! Hobbies: Spending time with his wife and two sons, running up and down mountains, riding bikes uphill, getting the office excited about absurd athletic challenges, finding and eating delicious food. 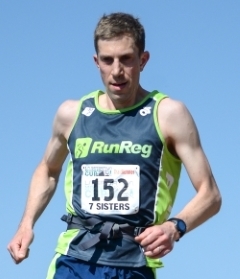 Claim to fame: Ross is a former professional cyclist and winner of multiple New England trail running races. 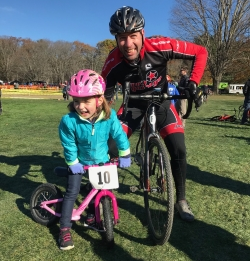 Hobbies: Talking about his budding snowshoe racing career, downhill ski coach, jeeps, fishing, putting out watts, telling stories about growing up in the Hilltowns, enthusiastic dancing. 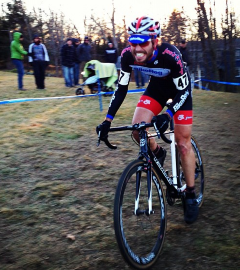 Claim to fame: Looks really, really mad when he goes hard on a bike. Hobbies: Racing bikes, talking about Toyota Previas on the internet, repairing Toyota Previas, not actually driving his Previa, getting hopelessly lost. Never could catch or throw properly, but can push hard on pedals. Claim to fame: Likely the worst sense of direction in the western hemisphere. 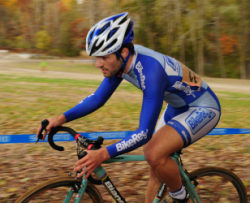 Hobbies: Promoting bike races, participating in bike races, blogging about bike races, making websites about bike races, riding bikes. Washed up nordic skier who made it to the elite wave of the Birkie once. Tele skier who makes parallel turns more than he’d like to admit. Claim to fame: Started crossresults.com in 2006, which led to worldwide mini-fame, coffee addiction and steadily decreasing sleep. Sold crossresults.com to Pioneer in 2011, got dream job, never did catch up on sleep. Hobbies: Writing code, adding indexes, removing redundant DB calls, listening and trying to figure out what an office of athletes did last weekend, Growing lots of winter squash. Claim to fame: Figured out how to share user controls between projects in Visual Studio. 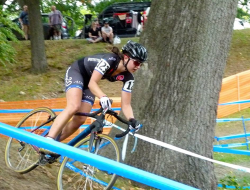 Hobbies: Racing road bikes, racing cross bikes, riding mountain bikes. She likes cooking food with lots of cheese and eating french fries, sometimes at the same time. She also likes living in the middle of nowhere where she can walk her dog in the woods and start bonfires that border on dangerously large. Claim to fame: Frances crossed the finish line of the 2015 Exeter Criterium upside-down in the air. Hobbies: Playing with his daughter, preferably on bikes. Hanging out with his wonderful wife, preferably on bikes. 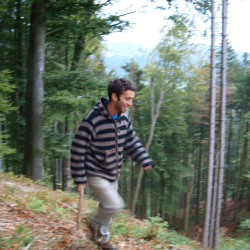 Adventuring in the woods with his dog, preferably on his bike. Running, but wishing he was on his bike. Raising money for charity, on his bike. Claim to fame: Has raised over $450,000 for cancer research with Bikes Fight Cancer. "It's my only way to find a cure for this disease, because trust me, no one wants me as their DR". Hobbies: Riding and racing bikes, getting lost riding bikes, going on runs primarily to find cute dogs to pet, taking naps, reading all the yelp reviews for restaurants, creating the perfect waffle. 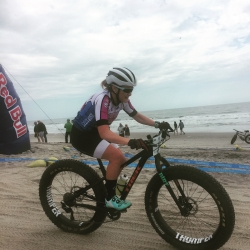 Claim to fame: Fatbike National Champion, former collegiate distance runner. 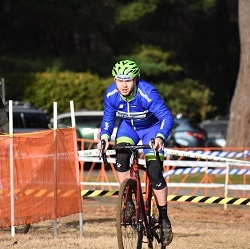 Hobbies: Developing software side projects, taking college courses, tutoring, hiking, cycling, not coming dead last in cyclocross races, healing your character in video games, producing music, and finding new breweries. 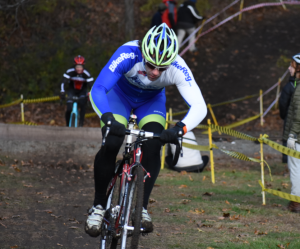 Claim to fame: Ate dirt in front of Jeremy Powers at his first cyclocross race, published digital security research, created a room-scale virtual reality version of PAC-MAN.